Welcome to the first issue of Humanum. Children are perhaps the most vulnerable members of human society. They are subject to most of the same pressures and assaults as adults, but in addition to this, the very factors that make them children open up other areas of vulnerability. We are increasingly conscious not only of the millions of unborn children killed in the womb or in laboratories (where approximately 30 embryos are destroyed for every live birth by IVF, for instance), but of the prevalence of sexual abuse throughout our society, especially in institutions where adults have great power over children in their care and little oversight. But there are many other ways in which adults have failed their children. In the United States, bad or merely inconvenient behavior often leads to children being diagnosed as "bipolar" and calmed with antipsychotic drugs. (And as we know, other pharmaceuticals are readily available to enhance performance in the highly competitive environments of college or business.) In the UK, growing numbers of children are starting school or nursery at the age of four not knowing their own names - not even knowing they need a name - because their parents have been spending too much time on the internet and watching television to teach them to speak. A further example: it was revealed to the British Parliament in July 2011 that 155 animal-human hybrid embryos have been created in laboratories since such research was legalized in 2008 (that is, before the funding ran out). The justification given – as in the case of research on embryonic stem-cells in general – was that it might help (eventually) to eliminate all kinds of diseases. This is the kind of consequentialist thinking to which the child, from conception until maturity, is particularly vulnerable. And as we can see from this example, it leads in some bizarre directions. But even if we don't allow chimeras to live, what is likely to be the psychological damage to children who discover their origin lies not in the love of their parents but in a scientific experiment or commercial transaction? The "technological" approach to problem solving is a natural human characteristic, one that to a large extent differentiates us from the other animals, but one which boosted by the possibilities opened up by modern science can do massive harm. What we are seeing is technology on steroids, as it were, wielded by "men without chests" (to borrow C.S. Lewis's phrase from The Abolition of Man). We have barely begun to count the cost of the assault on the child, in social let alone in psychological or spiritual terms. It would be easy to get depressed, and indeed depression is a common affliction among those who seek to reverse the tide by making a stand on one or other of these issues. There is a place and a time for making a stand, but there is also a place and a time for considered reflection, especially if there may be some hope of attacking the disease at its root. What Humanum, and the CCPR, hope to contribute to this debate, as we survey the vast field of relevant publications, is to establish such a time and a place – an oasis for considered reflection. Our reviewers have mostly been educated at the Pontifical John Paul II Institute for Studies on Marriage and Family, where they have learned to see things as the late Pope saw them, in the light of a profound knowledge of who man is, and why we should care. This is what has been forgotten in the eager rush to reinvent ourselves as masters of our own fate. We open with a systematic article, as we will in each and every issue, to lay out the vision of our particular topic, and to explain the reasons for its importance and the particular perspective we bring to bear upon it. This time the article is by the former Dean of the John Paul II Institute in Washington and Editor of Communio, Professor David L. Schindler, who is very much the moving spirit behind Humanum. This is followed by review articles and shorter reviews that survey the literature available to us on this topic. Further suggestions for books that should be reviewed are always welcome. 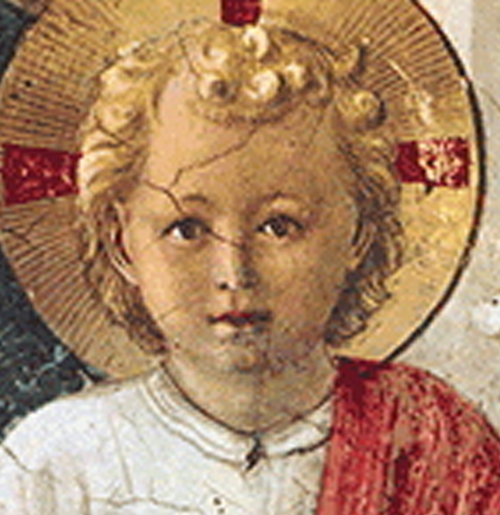 Readers may be interested to read another systematic article on childhood and the theology of the body, "Partners of the Absolute," by English writer Stephen Milne, a visiting lecturer at the Maryvale Institute, which is hosted on the Second Spring website.